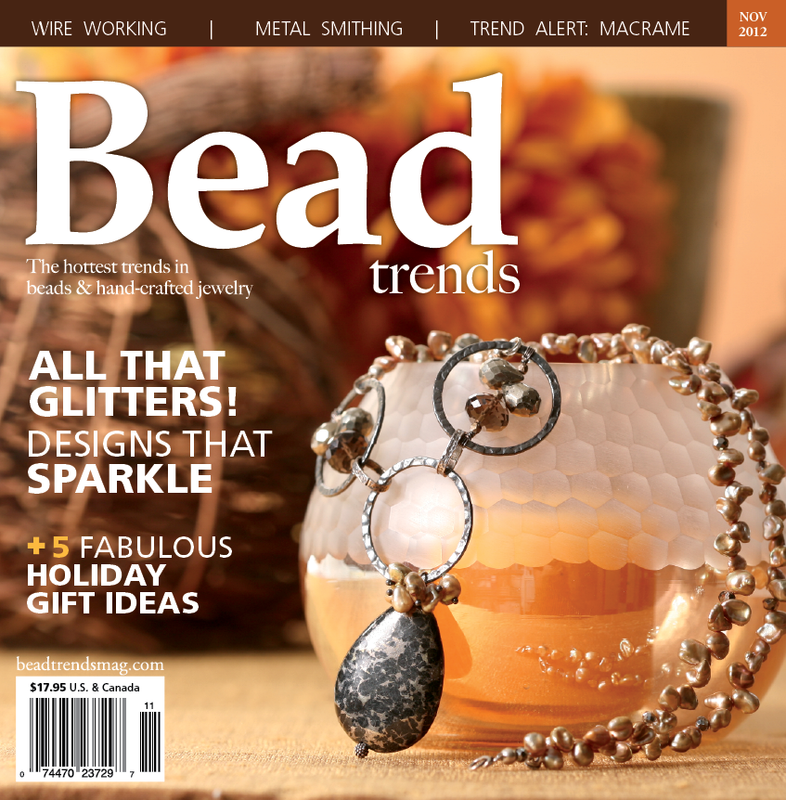 The November issue of Bead Trends Magazine? The Fall/Autumn inspiration in the November issue of Bead Trends is phenomenal! I fell in love with Kristin Oppold's "Love is Seasonless" Necklace which she designed with her mother in mind when she was ill with cancer. Not only is the necklace beautiful and inspiring, so are Kristin's words about her mother! Next I have to give a nod to fellow Phoenician, Sara Oehler. Her Jewel School Article (Pages 68-72) is so cool - I mean seriously - she has created these beautifully colorful bracelets with Soft Flex Beading Wire (my FAV!) and crystals - and they are macarame!! Awesome!! The cover piece, designed by Wenche Brennbakk is so pretty and loaded with gorgeous pearls!! (Pearls!!) and then Kristy Abner's "Vintage Romance" necklace completely sets the stage for all those cool fall nights you'll have sitting with your sweetie by the fire! (Pages 12-13). And of course the 'beachy-girl' in me was dropping my jaw on my desk as I came across Joanne Shockey's "Silver Beach Bracelet! (Pages 18-19) It's a stunner, let me tell you!! And the Designer Highlight on Andria McKee is fantastic! 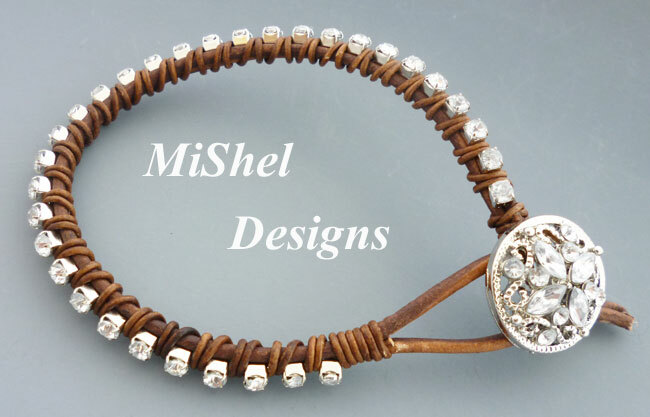 Her designs are the kind you will want to wear every day! (Pages46-57). Although I cannot share the entire magazine with you (you'll have to get your own copy!!) I can tell you that I was super fortunate enough to have two of my designs in the November issue of Bead Trends as well. My "Stick Around Town" Earrings from my Urban Chaos Collection are beautifully photographed on pages 42-43 and my "Everyday Glitters" leather and rhinestone chain wrapped bracelet can be seen on pages 80-81! Insert "Happy Squeals" right here!!! Thanks to Tatia Meyer and everyone over at Bead Trends for all the fabulous work you do each month in Bead Trends. The photographs are always so wonderful and the articles and projects are ones that capture our attention and keep us excited about what we do!! Peace, Love and Happy Squeals! Yay for you and it is so deserved! Congrats, Shel - both of your designs are awesome. Looks like another fabulous issue! It's off Kashmira,...at least when I checked. And I get about 58 pieces of blog comment spam (stupid symbols and hackers) a day, so I'm sure it's been turned off again. 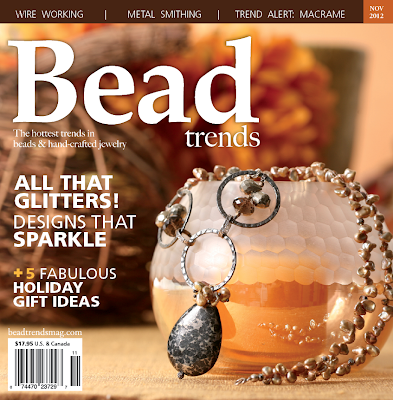 I stopped my subscription to Bead trends and it ended with the October issue. It just was too expensive for me. But I'll have to pick up this wonderful issue. 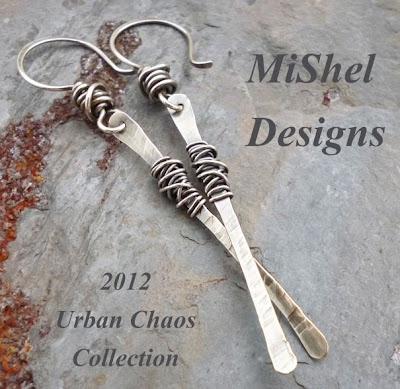 I love your Urban Chaos earrings. Congratulations on being published!